Retainers are custom made orthodontic appliances that are designed to help keep patients’ teeth in their aligned position. When braces are removed or when clear aligners are no longer required, the tissues around the teeth (Periodontal tissues) and the jawbone need time to reform around the new position of the teeth. 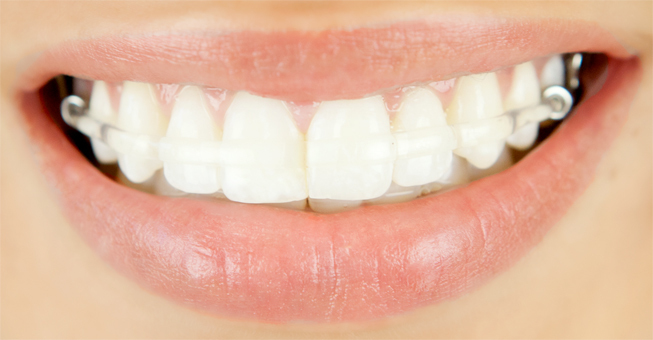 Retainers help prevent unwanted tooth movement(s) during the retention phase of the orthodontic treatment. 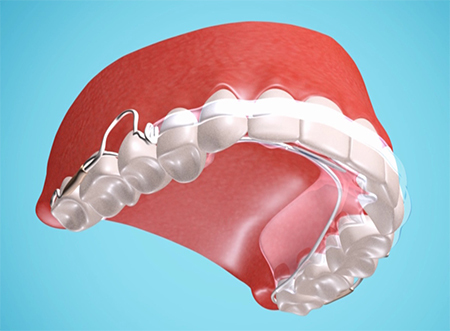 In many cases, patients are required to wear their retainer day and night for the first 6-12 months. After this period, many patients can wear their retainer less frequently on a continual basis recommended by their doctor. 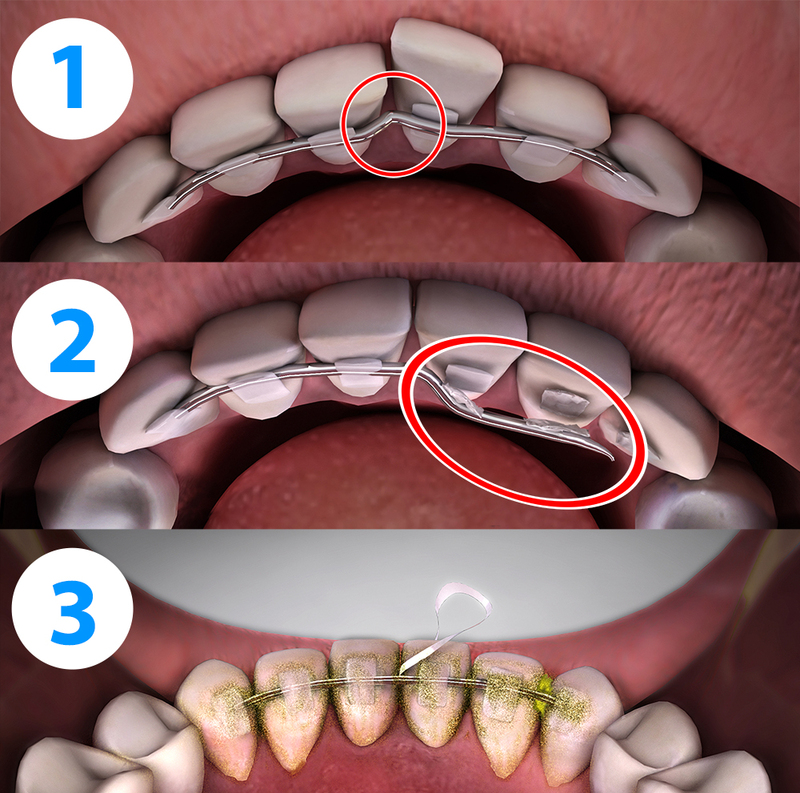 Throughout the retention phase it’s very important that patients are compliant with their retainer wear instructions provided by their doctor, as this may help ensure a beautiful smile. 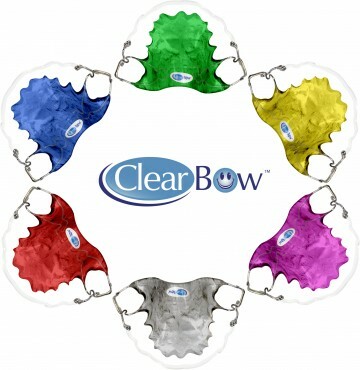 The ClearBow is an aesthetic component used in the fabrication of retainers and other types of orthodontic appliances. 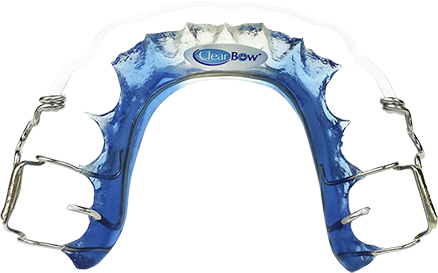 The ClearBow comprises a clear plastic strap that is designed to provide patients with superior aesthetics, optimum tooth contact for superior retention and unparalleled durability for a longer lasting retainer. 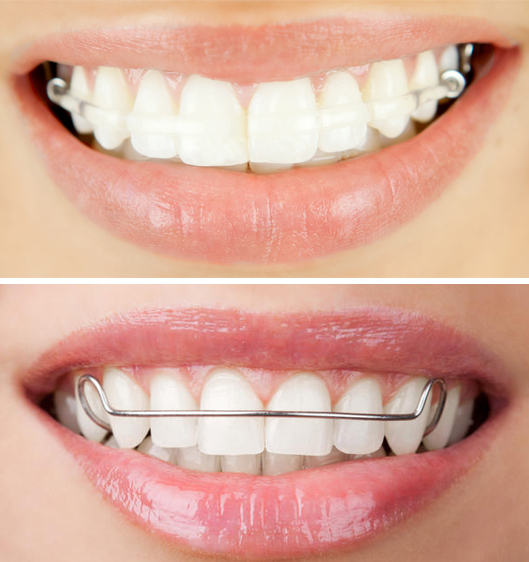 Conventional steel wires are unsightly, can scratch teeth and also provide very little tooth surface contact. 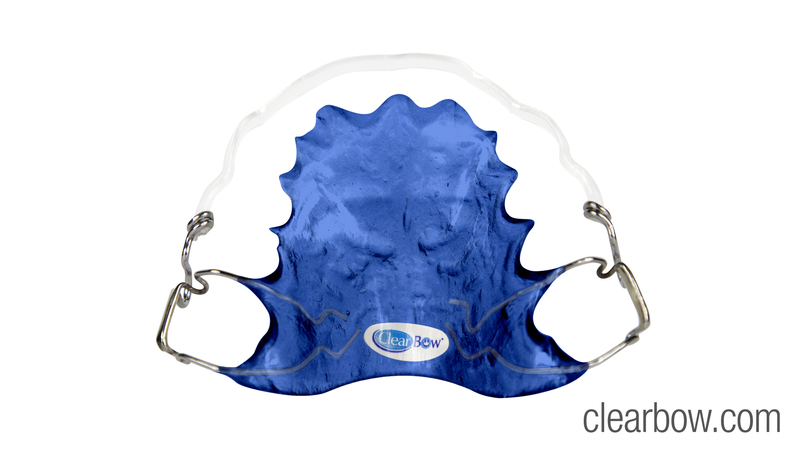 Retainers made with the ClearBow do not cover the entire tooth like vacuum formed retainers / trays. This allows for more saliva to flow around the patient’s teeth to protect tooth enamel and clean away food and bacteria. Retainers made with the ClearBow are fabricated using highly durable components that are subjected to little or no stresses when in the mouth. This is due to the retainer not covering the biting surfaces of the teeth like vacuum formed retainers / trays. This maximizes the retainer’s durability and ongoing reliability for keeping teeth straight and smiles beautiful. Retainers made with the ClearBow are “anatomically friendly” as they allow the patient’s upper and lower teeth to come together when the mouth is closed. 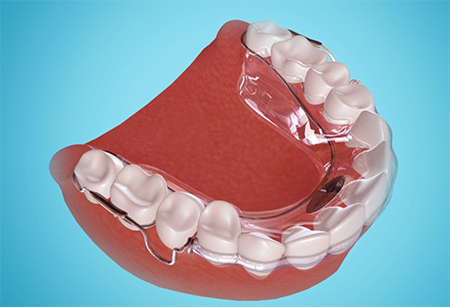 This is due to the retainer not covering the biting surfaces of the teeth like vacuum formed retainers / trays. 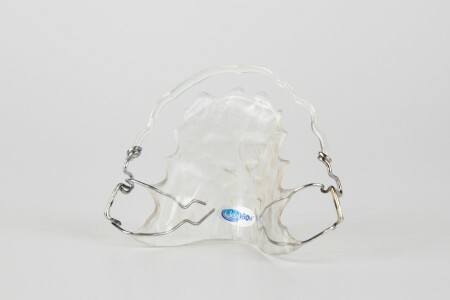 Retainers made with the ClearBow can include contact information, different colors, designs and stickers, making this type of aesthetic retainer even more unique, colorful and easier to identify. Fixed bonded lingual wiresare subjected to masticating forces and harder to clean. 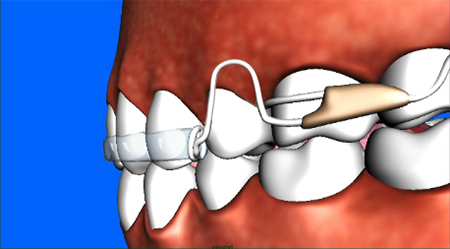 Retainers with the ClearBow are not subjected to biting forces. Before playing sports, eating or brushing and flossing teeth, patients simply remove their retainer and re-insert it when they’re done. Cleaning your retainer on a daily basis is essential for reducing the risk of contamination and safeguarding the retainer’s aesthetic features. 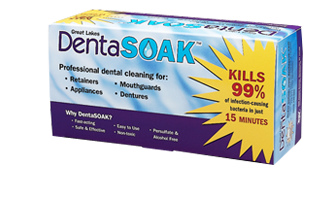 Oral appliance cleaners help eliminate calcium build-up, accumulation of bacteria and prevent unwanted odors. Because retainers made with the ClearBow have soldered joints, it is important to use an oral appliance cleaner that does not deteriorate the retainer’s metal work. Below you will find a list of oral appliance cleaners that we have tested on retainers made with the ClearBow during a 5 month period between (February 2013 – June 2013). These products did not affect the ClearBow or the solder joints. If you use a soaking type oral appliance cleaner like DentaSoak® or Retainer Splash™, be sure to follow steps 4 – 6 below after your orthodontic retainer is cleaned. If you use a foam type oral appliance cleaner like Polident® Fresh Cleanse, be sure to follow steps 1 – 6 below. Squirt the oral appliance foam cleaner on both sides of your retainer. Gently scrub both sides of the acrylic plate using your fingers. If necessary use a very soft bristled toothbrush. Use a wet cotton swab to gently clean the metal work and both surfaces of the ClearBow. Gently pat the retainer dry prior to storing. 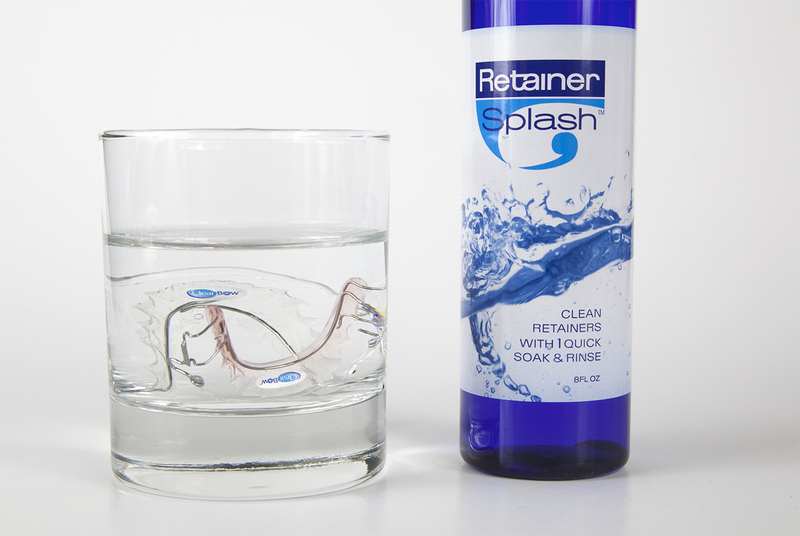 Ensure your retainer case is clean and dry. Do not place your retainer in a microwave, oven or boiling water for cleaning your retainer. Do not use a hairdryer on high heat to dry off your retainer after cleaning. Do not use toothpaste, baking soda, mouthwashes or denture cleaning tablets for cleaning your retainer. For information relating to the points below, please consult your doctor. 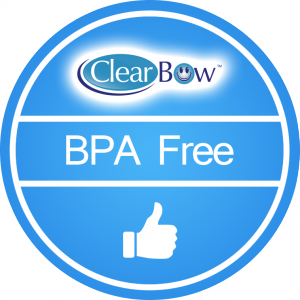 Does the ClearBow contain any BPA? Is the ClearBow affected by sunlight? We left a ClearBow outside for 45 days during the summer of 2013. The shape and color of the ClearBow did not change. Will drinking hot beverages affect the ClearBow on my retainer? No, the ClearBow is unaffected by boiling water. *Important: Do not use boiling water for cleaning your retainer as this will warp the acrylic plate. Color, design and decal options for orthodontic retainers vary for every doctor. The images below are for demonstration purposes only. 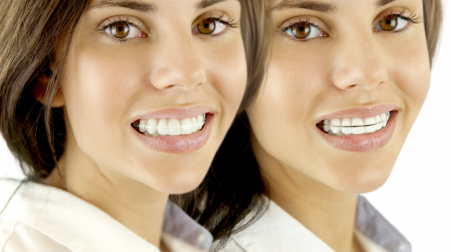 Traditional Hawley retainers that leave you hiding an unsightly “metal wire smile” are a thing of the past. Now you can confidently show off your beautiful smile with the durable ClearBow Hawley retainer; a new clear retainer that is fabricated with a virtually unbreakable, BPA-free plastic orthodontic wire (ClearBow). The ClearBow orthodontic wire is made in Canada and is not damaged by boiling water or stained by coffee, cola, beet juice or red wine. 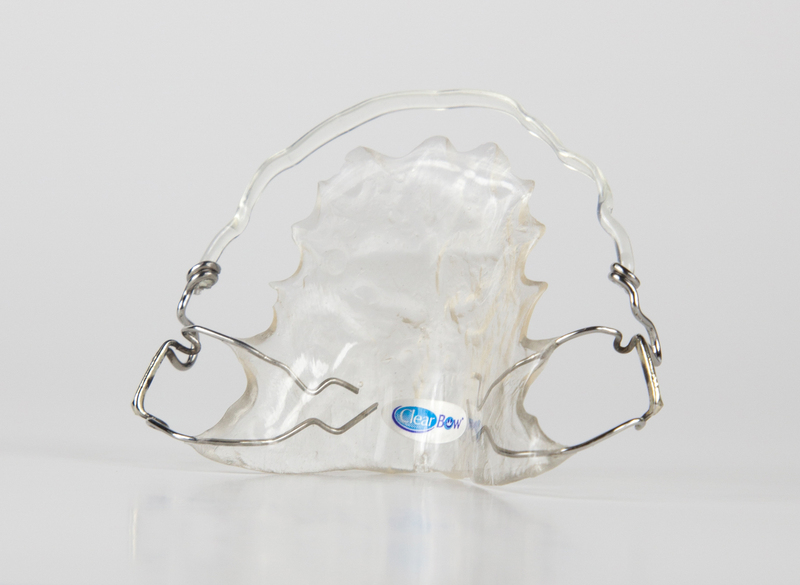 The ClearBow Hawley retainer is designed to provide superior aesthetics encouraging patients to wear their durable clear Hawley retainer without feeling self-conscious. Unlike other types of clear retainers, the ClearBow Hawley retainer covers little or no biting surfaces of the teeth. 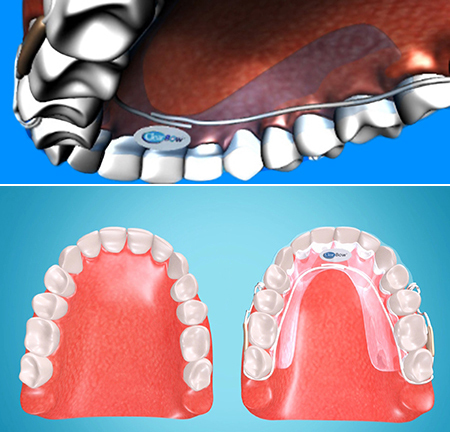 When properly designed by the orthodontist, the ClearBow Hawley retainer allows the teeth to settle into occlusion, which will also permit even distribution of the biting forces. Watch the video below to see how durable the ClearBow Hawley retainer is!